An implement taken from the pastoral life served as a metaphor in rabbinic literature, itself the product of city life. That implement was the yoke, which in linking animals to the plow and to one another made farming possible. For the rabbis, there were two yokes. The first was the yoke of Heaven: the acceptance of the existence of God as one and unique and the proclamation that there was no other. The second was the yoke of commandments: the acceptance by a Jew that the same God had enjoined the people to follow a particular path and to live a particular kind of life. The commandments were both ceremonial and ethical; their specificity grew out of a specific concept of God. Thus the yoke of Heaven created a particular kind of yoke of commandments. Most Christians don’t realize this is a commandment because it reads more like a declarative statement, but it is a commandment. However, as I said above, God desires “all flesh” to bow before him, not just “Jewish flesh”. The question is how? Of course, and I’ve written many times on this before, it becomes somewhat problematic to think about a non-Jew having involvement in a Judaism as such. This is one reason why the other branches of Judaism consider Messianic Judaism to be a form of Christianity with a thin Jewish overlay. 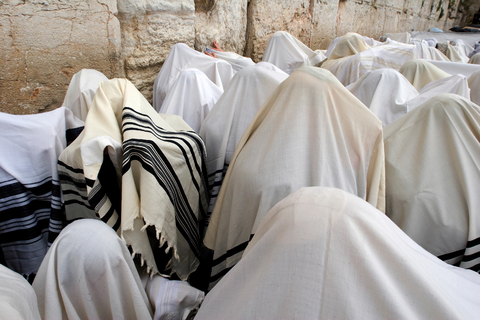 For their part, many Christians see Messianic Judaism as “too Jewish” for their taste and this “yoke of commandments” seems rather “legalistic,” though they misunderstand the role of Torah and the mitzvot in the lives of Messianic Jews (and Gentiles). But as indicated above, the yoke of Heaven and the yoke of the (Torah) commandments are metaphors used to describe the relationship between humanity and Deity. These yokes then, are the connection between who we are as living creations of Hashem and the Creator Himself. 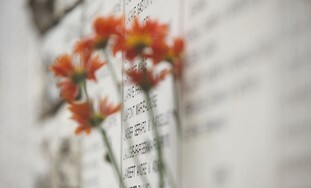 The first is awareness and acknowledgement of the very existence of God and our willing proclamation of that fact, and the second, which our writer from the Pirke Avot commentary calls a particular path for the Jewish people, is a living response or extension of the first yoke, but only for the Jew. Of course the commentary I’m citing doesn’t take into account the role of Yeshua (Jesus) as Master, Messiah, and Mediator of the New Covenant, so it could be said, at least by some non-Jews, that in coming to Messianic faith, the Gentile takes on board both yokes, just as does the Jew. But what yoke was Peter talking about in Acts 15:10? Now therefore why do you put God to the test by placing upon the neck of the disciples a yoke which neither our fathers nor we have been able to bear? Peter certainly couldn’t have been dismissing the yoke of Heaven as a requirement of becoming a disciple of the Master, since without a basic acknowledgement of God as Creator and Sovereign, everything that follows is meaningless. But there’s only one other yoke to consider: the commandments, that is, the Torah of Moses. Now many, most, or all Christians will consider “the disciples” to be all disciples, Jewish and Gentile, and thus reach the conclusion that Peter was advocating for doing away with the commandments (and replacing them with grace). But they miss the fact that in verse 7, Peter identifies the object of his statement as “the Gentiles,” thus he is talking about the yoke of the commandments as being too great a burden to place on them, that is, on us, the non-Jewish disciples. All of Acts 15 is an attempt to answer the question, “What do you do with a bunch of Gentiles who are being invited to become disciples within Judaism?” Since even a brief inventory of the Tanakh (what Christians call the “Old Testament”) describes the rather difficult history of the ancient Jewish people relative to their obedience to God, I think Peter is justified in saying that the mitzvot are a yoke which neither their (Jewish) fathers nor they (the Jews present at this legal proceeding, and by extension, Jewish people in general) could bear. This isn’t to say that God expected any Jewish person to perfectly and flawlessly perform the mitzvot. God doesn’t expect the unreasonable out of flawed human beings. Certainly King David, “a man after God’s own heart” (1 Samuel 13:14, Acts 13:22), was less than perfect, and yet even in light of his many human mistakes, he continually and passionately pursued God. James, the brother of the Master, said that “works without faith is dead” (James 2:17, 2:26), so obviously both are required in a life acknowledging the yoke of Heaven and of the mitzvot. In reading the continuation of the Acts 15 narrative, we see James and the Council ultimately ruling in favor of Peter’s (and Paul’s) interpretation of scripture that the Gentiles should be exempt from many elements of the yoke of Torah. As I mentioned, the yoke of Heaven is a minimum requirement for anyone oriented toward God, so no one can be made exempt from this requirement. In fact (citing Acts 15:28), it (that is, this decision) seemed “good to the Holy Spirit” that only a limited subset of mitzvot be applied to the Gentile disciples, rather than test God by laying a stumbling block in their path and causing them to repel from coming to faith. But if God provided two yokes for the Jewish people, the yoke of Heaven and then a path to live out their faith in the yoke of the commandments, what about the rest of us? Actually, I attempted to answer that question, not by providing an exhaustive list of “do this” and “don’t do that” (which seems to be the standard expectation), but rather a higher level conceptualization of humanity’s overarching relationship with God. 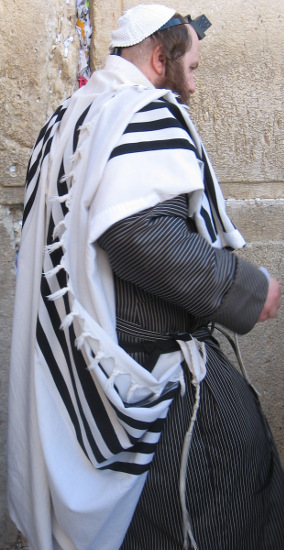 The Jewish people continue to bear a greater level of responsibility in their obedience to God because of their unique covenant status, but God in His graciousness and mercy, granted access for the Gentile to the Holy Spirit and the promise of the resurrection to come without requiring that we shoulder the same “burdening yoke” (though that yoke is also “perfect for restoring the soul”; see Psalm 19:7). As I’ve mentioned many times before, I don’t think Acts 15 is the end of the story, and I believe that oral instruction must have accompanied “the letter” as it made its rounds (perhaps eventually being formalized in that document we have called the Didache). Just in living my own life day-to-day, I find that I have my hands full simply “doing justice, loving kindness and walking humbly with my God (Micah 6:8).” If we can master loving our neighbor as ourselves, as James the Just said, we “are doing well” (James 2:8). This is what James called “the royal law” and part of what the Master called “the greatest commandments” (Matthew 22:36-40). Since this “royal law” is linked to loving God, that brings us full circle back to the yoke of Heaven. Maybe if you think you have completely mastered the yoke of Heaven, you, as a Gentile, feel you have merited also taking on the yoke of Torah. If you have mastered even that first yoke, then I envy you, for it seems that I and the believers I know have fallen short on some aspect or another in attempting to pull this “plow”. If humility is about seeking a balance between the extremes of thinking too well of ourselves and thinking too poorly, where is that balancing point for the Gentile in Messiah? It may not be along the same path as the one God placed before the Jewish people. One final note. As was said in the very first quote at the top of the page, a yoke not only links an animal to the plow but it links two animals to each other. If I say that the yoke of the commandments links Jewish people to God and to each other as Jews, I believe the yoke of Heaven links all of the faithful together, Jew and Gentile alike. So in this, I am not creating a barrier between Jewish and Gentile believers in Yeshua, rather, I am showing you by which yoke we are linked, for we are all yoked by Heaven. 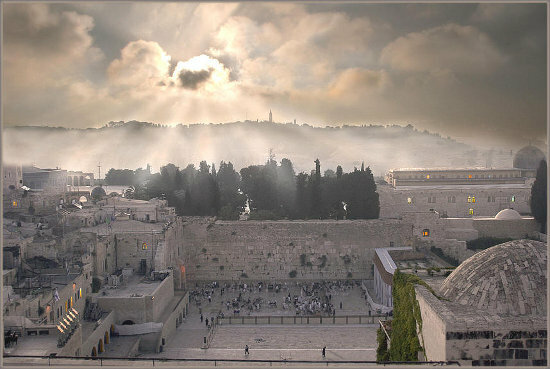 Now, O Israel, what does Hashem, your God, ask of you? Only to fear Hashem, your God, to go in all His ways and to love Him, and to serve Hashem, your God with all your heart and with all your soul, to observe the commandments of Hashem and His decrees, which I command you today, for your benefit. Behold! To Hashem, your God, are the heavens and higheset heavens, the earth and everything that is in it. Only your forefathers did Hashem cherish to love them, and He chose their offspring after them – you – from among all the peoples, as this day. If you love me, you will keep my mitzvot. For the Christian, it might seem strange to try to compare these two verses. 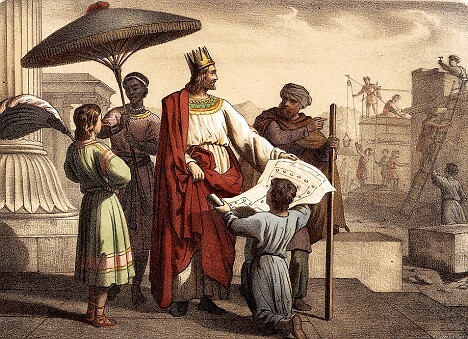 Contextually, the passage from Deuteronomy is being addressed to the Children of Israel as they are preparing to cross the Jordan and take possession of the Land of Israel, as promised by God to the descendants of Abraham, Isaac, and Jacob. When Moses says to “observe the commandments of Hashem and His decrees, which I command you today,” we generally understand that he (and God) mean the Israelites are to observe and obey all of the Torah commandments given to them at Sinai. The majority of those commandments are not typically observed by the modern church, at least as we understand them in traditional Christian doctrine. But we do grasp the need to, as a holy people, obey our God. Then we have the commandment of Christ to “keep my mitzvot.” What does that mean? The NIV translation of this verse states, “If you love me, you will obey what I command,” while the ESV translation renders it similarly as “If you love me, you will keep my commandments.” Mitzvot (singular: “mitzvah”) is a series or collection of commandments typically associated with the Torah, but in a more expansive sense, “mitzvot” carries the meaning of a group of charitable acts performed for the benefit of others. 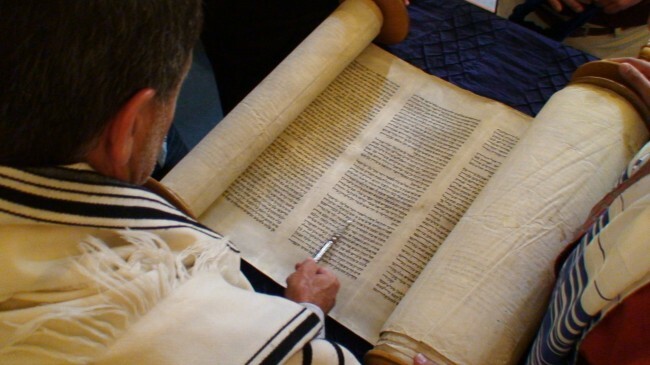 For a modern observant Jew, even studying the Torah commandments fulfills a mitzvah, and the Jewish concept of mitzvot is far more involved than simply obeying a list of “dos” and “don’ts,” extending into an extremely rich and robust way of life referred to as halachah. Jesus was and is a Jew and as translated by the DHE Gospels, the word he used that we normally read in English as “commandments” is rendered “mitzvot” in order to capture the truer meaning of his likely intent. 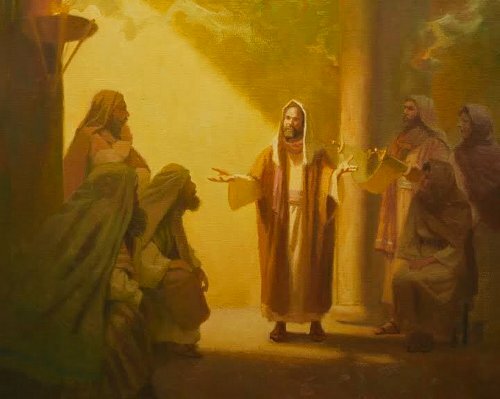 Jesus was a Jewish teacher talking to his Jewish disciples and within the historical, national, and linguistic context, his audience would have had a perfect understanding of his meaning. But do we? What were Christ’s mitzvot that he expected his disciples to obey as a sign of their love for him? Before trying to answer that question, let me point out something. As Moses is speaking to the Israelites in Deuteronomy 10, he knows his time is short. This is the last time he will be able to speak to the people of Israel. 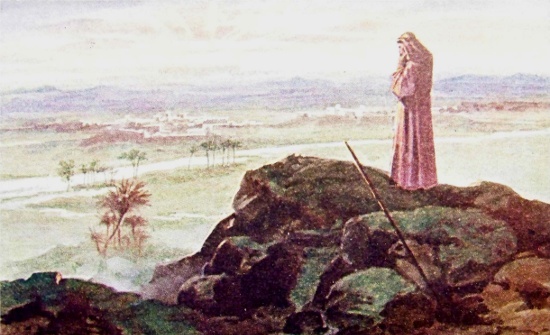 Shortly after he finishes, he will pass his authority to Joshua, who will lead the Israelites across the Jordan, and then Moses will die, his mission completed, at least as deemed necessary by God if not Moses himself. Jesus, in John 13 and beyond, is also speaking to his disciples as he is preparing to die. Gethsemane, Golgotha, and the cross were only hours away. Moses and Jesus, both men on the cusp, both desperately in love with their people, knowing they will be leaving them soon, knowing that their last words are vital, knowing that everything is at stake, and everything will be lost should their followers not heed those words. Moses and Jesus, both men who have commanded their followers to obey the mitzvot. We have a substantially established idea of the nature of the mitzvot that Moses expected the Israelites to obey. But what are the mitzvot of Jesus Christ? However else you choose to consider the commandments of Jesus and of God as they apply to your life as a Christian or a Jew, the mitzvah of the Master has been laid at our feet. We are to love one another as he has loved us. How has Jesus loved us? He gave his life for his companions; his friends. 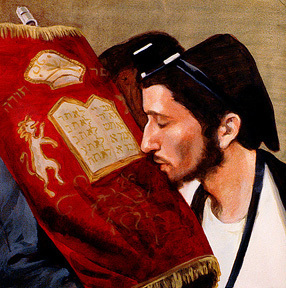 How do you become a companion of the King of the Jews? By obeying his mitzvah, to love. If you love as he has loved, you become his friend and you will produce fruit. What is this fruit? No law, no mitzvah opposes such fruit. I know what you’re thinking. Could it be that simple? Probably not. I’m sure it’s far more complicated than I’m making it. After all, the blogosphere burns up with discussions of what Jesus meant when he said “such and thus” or how to apply the dynamic interactions of law and grace. But Jesus commanded his disciples to “go and produce fruit.” Paul in his letter to the Galatians gives us one definition of “fruit,” which is “love, joy, peace, patience, kindness, goodness, faithfulness, gentleness, self-control.” I can’t say that I’m such an expert at flawlessly producing this fruit, especially on a consistent basis, but it seems clear that I should. It also seems clear that we all, as disciples of Jesus; as Christians, should produce this fruit as a consequence of him loving us and us loving him. Like latter-day Johnny Appleseeds, we should go about planting fruit trees, promoting kindness and generosity, and watching the fruits of our labors grow. We should love. We must love. I know I struggle in this as much or more than most of you. It may seem strange for someone as flawed as I am to invoke and promote the love of Christ among Christians and everyone else. But if we don’t say it out loud, if we don’t declare the mitzvah in public, how will we, will I be able to take the next step and express such a love? We must learn to bear fruit by loving; I must learn to bear such fruit. 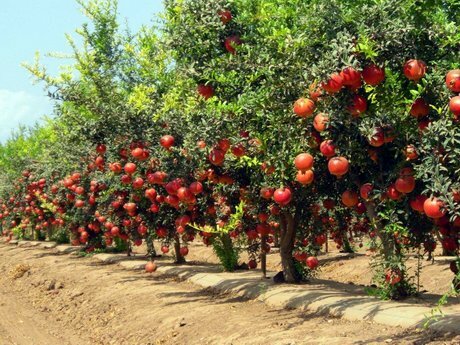 We must all plant orchards. Today’s daf discusses the halachos of one who gives a gift. 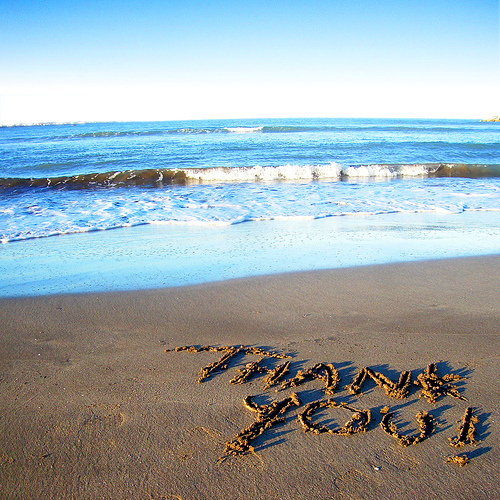 The great importance of gratitude cannot be overemphasized. Rabbeinu Bachaya famously writes that one who fails to appreciate what others have done for him—using some trite excuse to explain away this lapse—will also lose appreciation for all the gifts that God bestows on us at all times. In Kelm people knew how to show their gratitude. It was normal to show one’s appreciation to the children of one who had been of assistance. Some had developed their hakaras hatov to such an extent that they even expressed their gratitude to the grandchildren of the one who had helped them. An interesting question arose regarding such demonstrations. A certain Jew was in a far-flung town during the terrible years of the Holocaust. He knew that he had no chance alone, so he begged a non- Jewish friend to hide him. His friend did not let him down despite the danger of hiding a Jew, and that could lead to an immediate death sentence for interfering with the Nazi war effort. After the war, this Jew went to Israel and was very successful in business. He always sent a large amount of money back to Europe to help his non-Jewish friend, who was not very well off. After some time, this man passed away, and the Jew wondered whether he was permitted to continue sending money to the non-Jew’s children. After all, although they hadn’t really helped him they were the progeny of the man who had saved his life. Don’t we find in the Torah that the descendants of Amon and Moav should have given Yisrael bread and water as an expression of kindness to Avraham through whose merits Lot’s life was sav? Yet, in general, it is forbidden to give a non-Jew a gift due to the prohibition…It was not as though the children would have a claim against him, since he had always helped their father. Yet he wished to continue giving to them if he could. When this question reached Rav Nissin Karelitz, shlit”a, he ruled decisively. 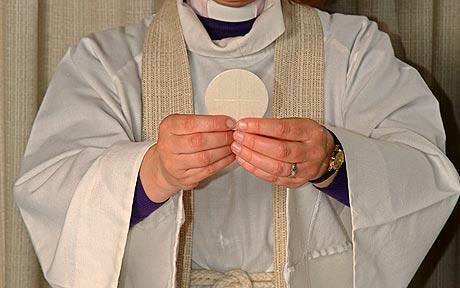 This is a strange story from a Christian (or a secular Gentile) point of view. Of course, we can understand that the Jewish person whose life had been saved by the non-Jew, should want to show gratitude toward the person who helped him at the risk of his own life. We can see that it was incredibly generous of the Jewish person to continue to provide financial gifts to his benefactor years and even decades after the end of the Holocaust. We might even be able to understand the desire to do something good for the children of the Gentile benefactor as a further act of gratitude and compassion for what their father did. But is it an obligation? 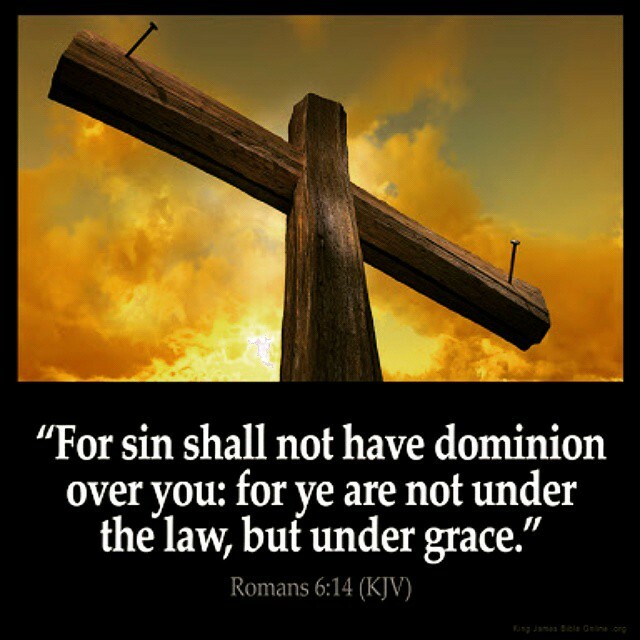 Most Christians are well versed in the concept that the Law of the Jews was replaced by the Grace of Christ, to the degree that Christians have virtually none of the obligations that God assigned the Children of Israel at Mt. Sinai. However, a careful study of the teachings of Jesus will reveal that every lesson he taught to his disciples and the multitudes that followed him was based in the Torah and the Prophets. As Christians, we understand that we should show our gratitude to others, sometimes in a tangible way, but for us, it’s a “nice thing to do” rather than a commandment or an obligation. But given everything I’ve just said, are we seeing this picture correctly? 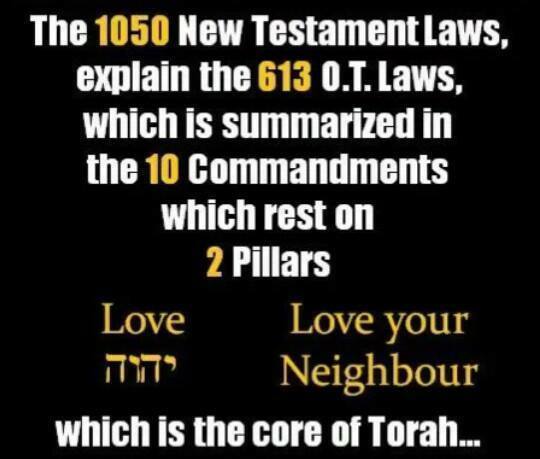 So we understand in this instance that because the Master included this portion of Torah in what he taught and because he gave a mandate that all of the Gentile disciples should be taught to obey his teachings (Matthew 28:18-20), that this is a part of Torah (the Law) that translates into a commandment for Christians. When you love your neighbor, you express it. When your neighbor (Jew or Gentile) does something outstandingly good to you, you return that goodness in kind, not just because it’s polite, or nice, or the right thing to do, but because God expects it of us. We Christians aren’t just supposed to love God, we are commanded to do so. Not only that, but we are commanded to love our neighbor. It’s an obligation. And on top of all of that, the two commandments are so linked that if you don’t love your neighbor as yourself, then you cannot possibly love God. I’m not dumping the entire body of the 613 commandments onto the Christian church and the body of non-Jewish believers in Jesus, but I am saying what seems to be self evident. Once you accept the Lord Jesus Christ as your Savior and Master, what happens next isn’t optional. Once you get your train ticket to Heaven punched by the conductor, your journey isn’t over. Being “saved” isn’t the end, it’s barely the beginning. I know that living a moral and ethical Christian life, especially in terms of actual behavior (as opposed to an abstract and completely internal “belief” in Christ) doesn’t sound like the “grace” we’re taught in Sunday school or from the pulpit, but I can’t read the Bible any other way. Once you realize that God expects that you love your neighbor, you’re supposed to do something about it. Otherwise, it isn’t love. Otherwise it isn’t love that you “feel” for God. If you have gratitude to God for saving your life and sparing you the consequences of your sins, show that gratitude to others and even to their children and grandchildren. Love is an obligation. The struggle, not to feel love but to do love, is a battle. And you dare not fail to win the battle. If you do, how can you say that you love God? How can you win the war, not only for all those souls created in God’s image, but for your very own? How can you say you contain the light of God and that your soul cleaves to Him? The Alter Rebbe had stated earlier that a person’s intention while performing Torah and mitzvot should be that his soul cleave to G-d. He now goes on to say that a Jew’s spiritual service also includes the goal of becoming one with all the Jewish people. For this reason his intentions should not be limited to having his own soul cleave to G-d, but also that the source of his soul and the source of all the souls of Israel cleave to Him. 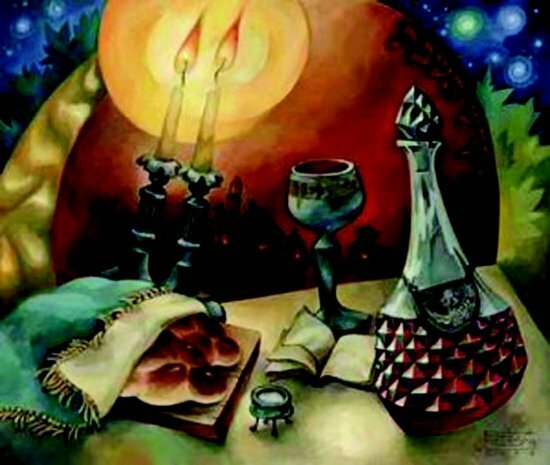 By doing so the individual brings about the union (yichud) of the higher and lower levels of G-dliness known respectively as Kudsha Brich Hu (“the Holy One, blessed be He”) and His Shechinah (“the Divine Presence”), for the former is the source of Torah and mitzvot and the latter is the source of all Jewish souls. 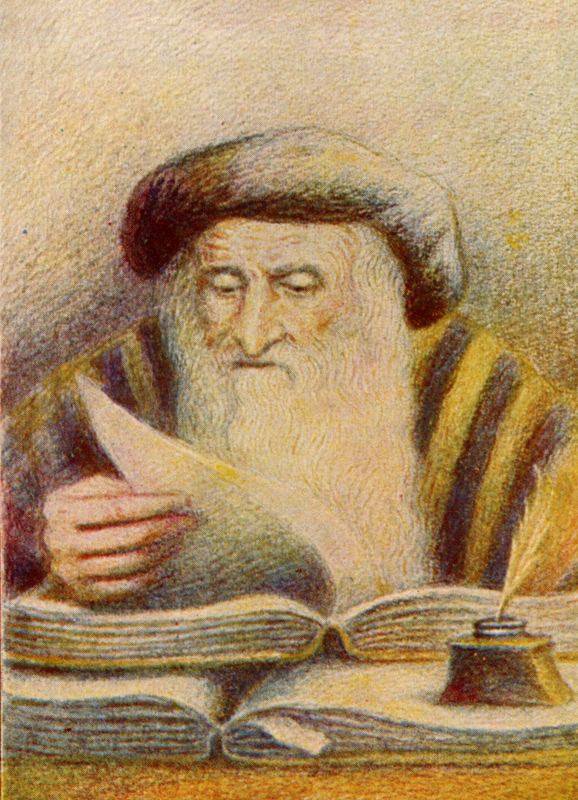 This explains the concluding phrase of the formula recited before the performance of certain mitzvot: “For the sake of the union of Kudsha Brich Hu with His Shechinah…in the name of all Israel.” As the Rebbe notes: “In the name of all Israel” implies that the union achieved through the performance of the mitzvah is for the sake of, and in the name of, all of Israel. For it is with the Shechinah that Kudsha Brich Hu is united and the Shechinah is the source of all Jewish souls. Elucidated by Rabbi Yosef Wineberg. Translated from Yiddish by Rabbi Levy Wineberg and Rabbi Sholom B. Wineberg. Edited by Uri Kaploun. To extend this particular lesson somewhat, in performing the mitzvot or the commandments of God as Christians, our souls are also cleaving to God and to all of His other creations.